Select 'New' from Management Accounts. Select how to handle Year End journals. Management Reports have 6 default pages each named in the bottom tabs : Front, Authorisation, P&L, Balance Sheet, Trial Balance, Debtors, KPI. 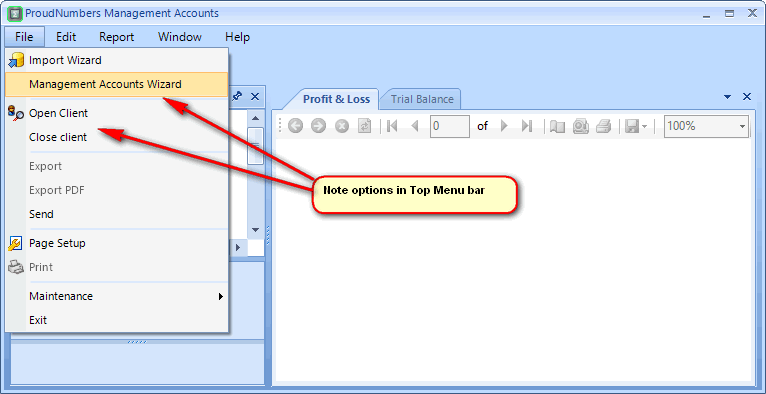 These form the basis of the Management Accounts and are editable and customisable. 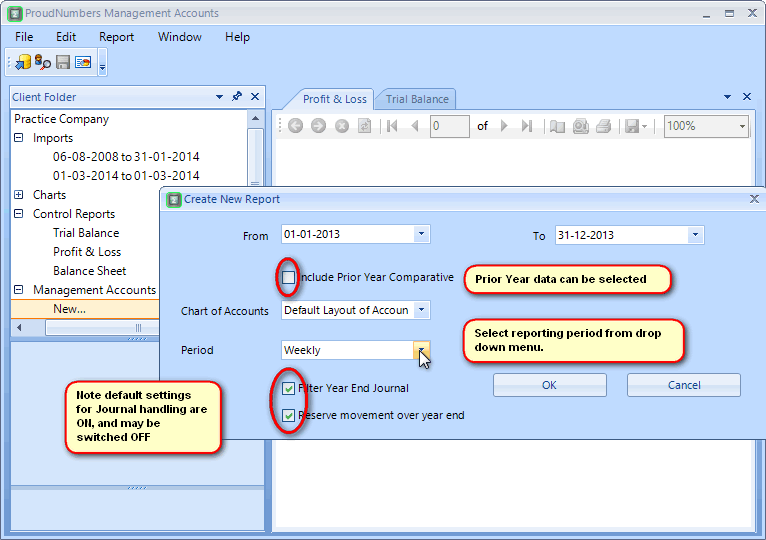 Management Accounts are also generated from the top menu bar : Report / Management Accounts Wizard.